Provided photo Goldie Miller, a seventh-grader in the Troy Christian schools system, tries out for the U.S. Olympic luge team this winter at the Lake Placid Olympic Training Center. 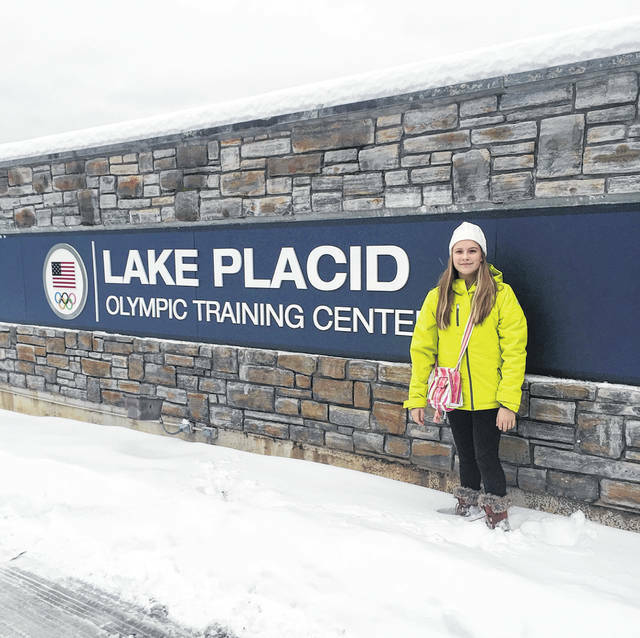 Provided photo Goldie Miller, a seventh-grader in the Troy Christian schools system, poses at the Lake Placid Olympic Training Center while trying out for the luge team this winter. TROY — When describing what made Goldie Miller such a natural during her luge tryouts, the U.S. Olympic team’s coaches talked about her fearlessness. When asked if she felt fearless while streaking down a slide of ice on a tiny sled, Miller — a seventh grader in the Troy Christian school system — had a pretty definitive response. “No,” Miller said with a vigorous head shake for emphasis. Whether or not she feels fear on the luge course, though, Miller displayed an innate ability for the sport — so much so that she earned herself a spot on the U.S. Olympic program’s development, or ‘D,’ team, putting the 13-year-old on track to one day possibly compete in the Olympics. It’s been a whirlwind year for Miller, who first took interest in the luge while watching broadcasts of the 2018 Winter Olympics in Pyeongchang, South Korea. And she quickly got her chance — Herres signed her up for an “Introduction to Luge” event on Mother’s Day weekend. More than 700 people tried out during that round of tryouts, with Miller making the cut down to 80. The next tryout took place in December 2018 at the Lake Placid Olympic Training Center and trimmed the field of prospects to 28 — with Miller again making it. And in one last round of tryouts in early 2018, Miller again impressed, qualifying as one of the final two athletes selected to become part of the program’s “D” team. Miller even got to hang out with the Olympic team, including getting a picture with Chris Mazdzer, a silver medalist at the 2018 Pyeongchang Olympics. “That was really cool. That was probably one of my favorite parts of doing this,” Miller said. But what made Miller such a natural at the luge in such a short time? “I haven’t crashed yet,” Miller said. “Well don’t say that,” Herres said with a laugh. Miller still has plenty of work ahead of her before getting a shot at competing in the Olympics. 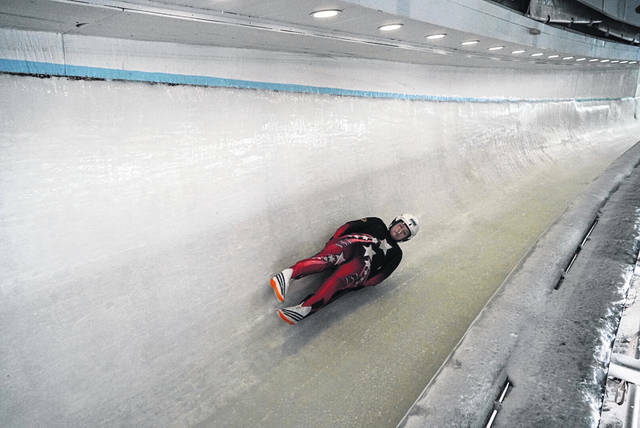 Not many get the chance — there are only 13 luge courses in the entire world. But with all the traveling — trips to Lake Placid already not withstanding — Miller will still be able to keep up with her school work. “The school has been great, working with her and helping her stay caught up,” Herres said. One way or another, earning a spot on the ‘D’ team has had an effect on Miller at home, too. Goldie Miller will also be able to continue to swim for the Englewood YMCA team, according to Herres. In fact, the team told them it planned to continue helping accommodate her needs so she could continue to compete. Between Troy Christian schools, the Englewood YMCA, and especially her own family — stepfather Mark Herres plans to build a small track at their home so she can practice her starts year-round — Miller seems to have the support necessary to make her Olympic dreams come true. And all of that support helps Goldie Miller feel fearless. https://www.tdn-net.com/wp-content/uploads/sites/21/2019/04/web1_040519pp_goldiemiller.jpgProvided photo Goldie Miller, a seventh-grader in the Troy Christian schools system, tries out for the U.S. Olympic luge team this winter at the Lake Placid Olympic Training Center. https://www.tdn-net.com/wp-content/uploads/sites/21/2019/04/web1_040519pp_goldiemiller_lakeplacid.jpgProvided photo Goldie Miller, a seventh-grader in the Troy Christian schools system, poses at the Lake Placid Olympic Training Center while trying out for the luge team this winter.